Russian born pianist Youri Egorov (1954-1988) first came to international prominence as the clear favorite among the 1977 Van Cliburn Competition�s semifinalists. 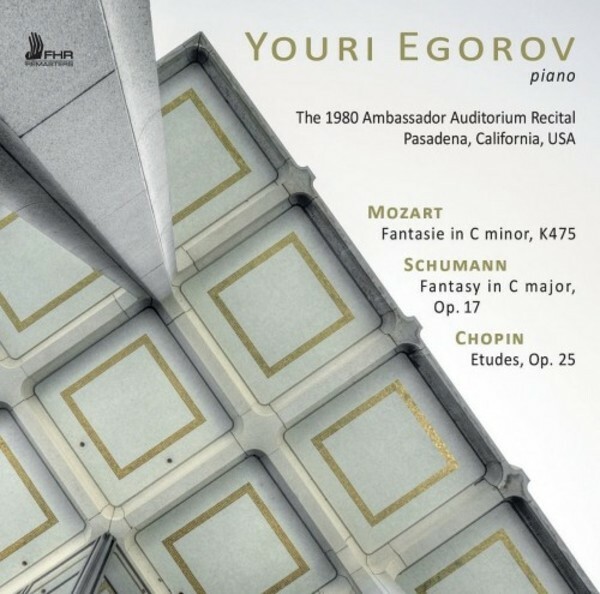 Egorov�s playing has drawn parallels with that of pianist Dinu Lipatti - both men gave their final concert performances at the age of 33, each knowing at the time that he was afflicted with a fatal illness and had but months to live. 1978 was the year in which Egorov�s career took flight. After his January d�but in New York the critics compared him to Horowitz, Richter and Rachmaninov.